I guess I am finally getting old. I remember when I graduated high school and then college, there was nothing more that I wanted to do than to get out of my home state … which was a good thing since I married a soldier and we moved 7 times in the next 15 years!! We were never really any closer than 600 miles to any family – and mostly it was more than 1,000 miles from either set of parents. Until we settled in Missouri and now here in Arkansas, my in-laws are 100 miles away. I am thankful my kids get to grow up near-ish (but not TOO near) grandparents! But sometimes, selfishly, I want my kids to know MY parents. We’ve had our “ups and downs” with them, but the older I get the more I realize HOW MUCH my parents did and continue to do for me and now my family. Most of all, I realize more than ever that everything they did (whether I understood or appreciated it), they meant for GOOD. This is what I am doing with MY kids. Trying my best – with God’s help – to be a good mom, to make decisions that are good for them. I hope they do – or will – understand that as well. 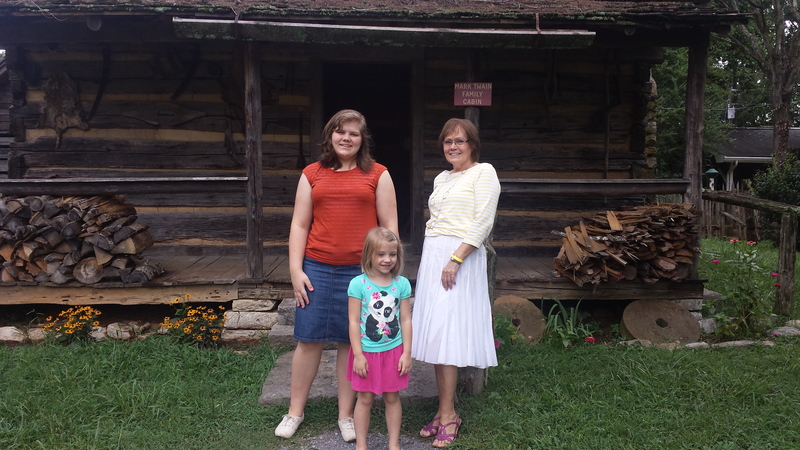 ANYWAY, all that to say, the girls and I got to spend a week with my family in Tennessee recently! We decided that instead of spending 12+ hours driving there, we’d just fly. Which really was a great idea … despite the fact that I booked a 5 a.m. flight, not realizing that it meant getting up at 3 a.m.!! The girls were pretty cheerful about it though – it was Mimsy’s first flight ever, and the first flight Annie-Belle actually remembers (we flew with her when she was a year old). In my recently self-imposed isolation here, I cherish the friends and family who have known me “for forever” – those with whom I have had so many wonderful shared experiences with. MY childhood friends, MY old church, MY mom and dad, MY brother, cousins, aunt, and uncle … After 2 years of living among long-established families here, I just long to be WITH MY OWN. 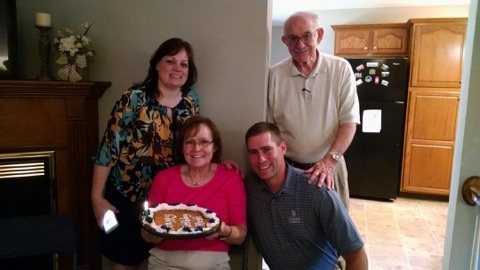 We were able to celebrate my mother’s birthday early. She’s turning a BIG # later this month … you can guess – but I will tell you she looks amazing for her age! 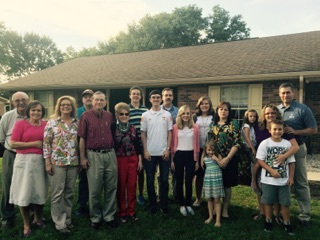 and this is some of MY extended family who gathered at my brother’s house … Again, I cherish those moments we shared – catching up, watching the little ones play, eating, laughing – SO MUCH MORE now than ever. 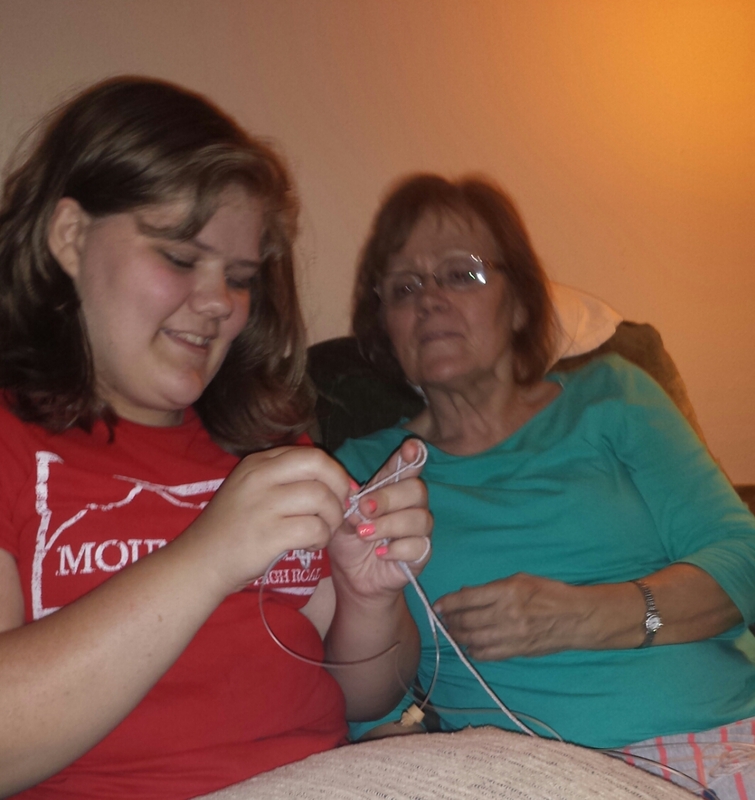 I try to accept where God placed us right now … I really do like it here in NW Arkansas … but I miss that we can’t always just stop by my parents’ house and do something as simple as have a knitting lesson from Oma. I guess that means we need to cherish the memory of the time we were able to do that even more! I miss “cousin time” … These 2 girls (below) are just 7 weeks apart – and were immediate “best friends”. I really don’t always know how to answer the question, “Where are you from?” because I was born in Germany, actually lived in Northern Virginia for 6 years, and then moved to East Tennessee where I graduated high school and attended college … but East Tennessee is where my parents settled (my dad grew up there) and where many of the friends that I grew up with still live. It holds some of my most poignant memories. Some of the dearest-to-me people live there. I am glad that at least my children get glimpses of this wonderful place and those wonderful people. East Tennessee will always be “home” as such. 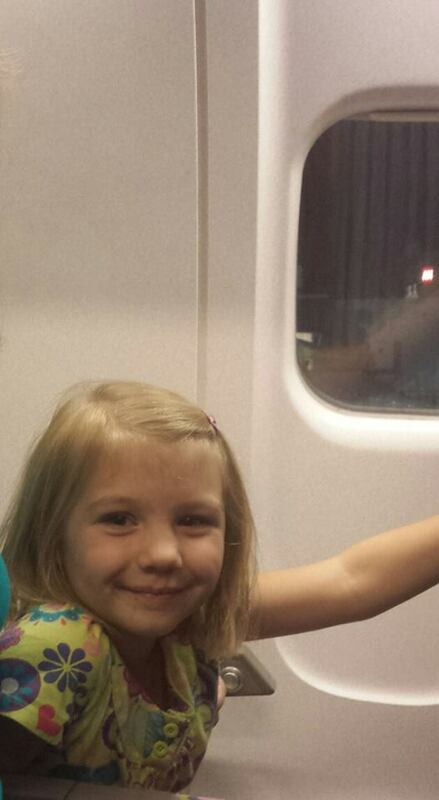 So, our week there flew by … and we were ready to “fly” home on Tuesday of last week. It was supposed to be a quick flight to Charlotte, NC – then after a 45 minute layover, catch another flight back to NW Arkansas. BUT as with most things in my life (ha! ), there were delays and detours! We left Knoxville late due to “weather” in Charlotte and were delayed on the tarmac at Charlotte after landing due to the influx of other delayed flights coming in as well. As we landed at 10:30 p.m. EST, our flight to NW Arkansas was just lifting off! And of course, we MISSED IT! 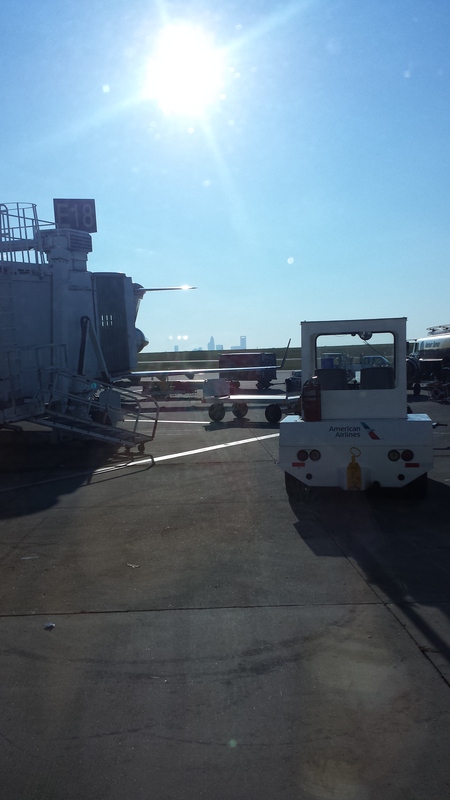 So, I got to experience a city I’ve never been to before – GOOD MORNING, Charlotte. 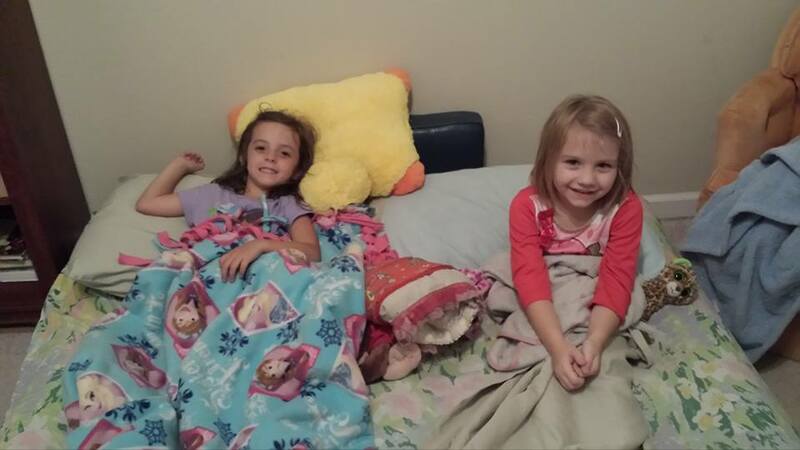 This entry was posted in Annie-Belle, Family, MiMi, summer. Bookmark the permalink. I’m so glad you got to spend a bit of time with your family. It is precious and as the years go by the girls will be so happy they got to know this part of the family. All of my aunts and uncles are now gone and unfortunately the cousins don’t get together that for “reunions”. I haven’t seen my brother face to face in quite a few years now, and his son’s (my nephews), and their families are overseas working on mission fields. I know we’ll all be together in Heaven some day and I guess even though it’d be great to see them there are many unsaved in my husbands family so we see that as our mission field right now. I’m already mourning the leaving of summer **sniff**.